The Clowns have left the building. 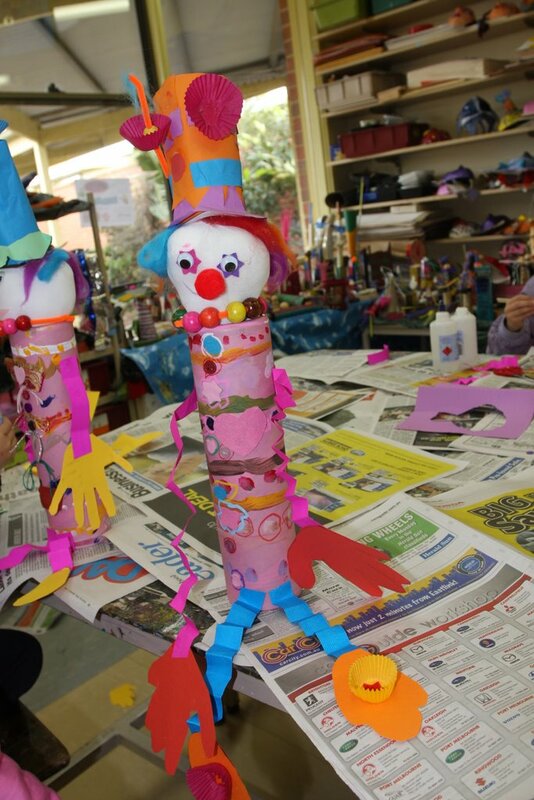 Yesterday was the last day of Term 3 in Victoria, Australia so the last of the Prep Clowns was photographed with their proud owners and went home for the holidays.They looked beautiful at Assembly before leaving, trailing colourful hair (wool tops) and one pink arm which I dutifully returned to the Art Room. I’m sure we Art Teachers care more than we need to over such details but it was great to hear last week that one Prep boy’s older brother still has his Clown in pride of place at home from several years ago. Manar’s clown, pictured at left, is a girl. Such a beautiful naive style the little children have. This year’s Preps have spent a lot of time creating very special Clowns from large recycled cotton spools. 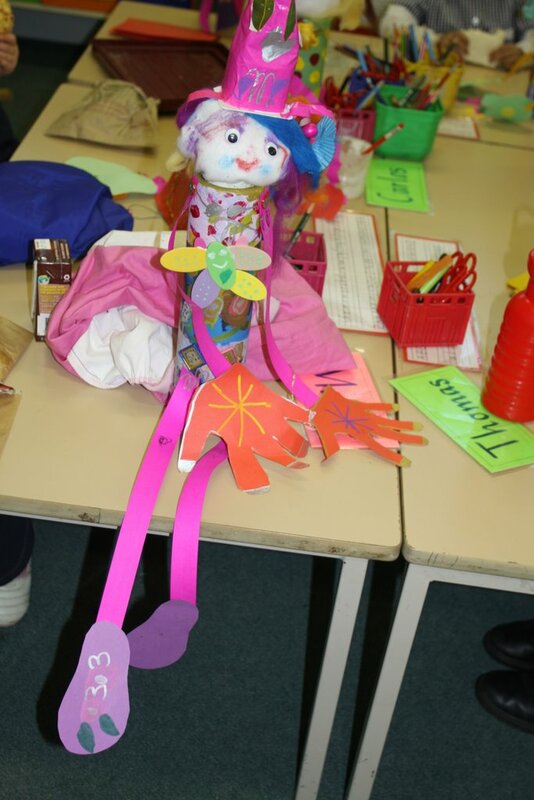 They are so colourful we are reluctant to let them leave the Art Room. 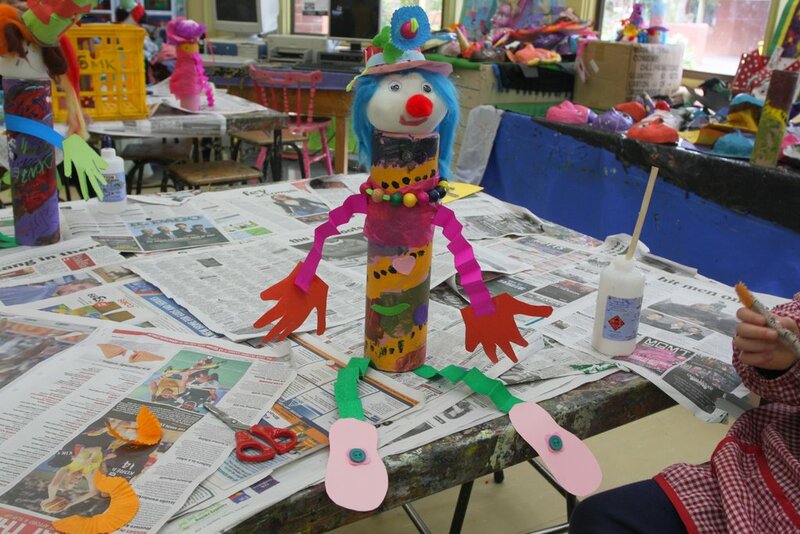 Mia’s Clown above and Polly’s Clown below were just two of the wonderful clowns constructed by this year’s Prep students. Well Done Preps.